Diamond recommends that operators of their DA40 and DA20 aircraft plug the stall warning air inlet holes on these aircraft while they’re parked on the ground. Developed with feedback from Diamond, the Plane Sights double-sided stall warning plug fits any Diamond DA40, DA50 and DA20, one way or the other. This composite-reinforced, ergonomic stall plug is the perfect all-weather, easy-in, easy-out way to prevent insects and ice from clogging your stall indicator and jeopardizing the safety of you and your passengers. 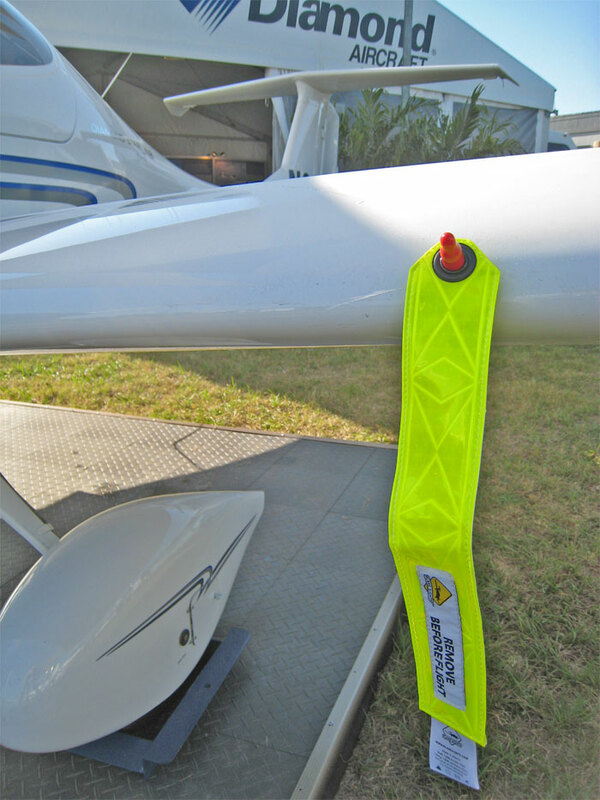 The blazing yellow colour of the firmly attached foot-long, ANSI-compliant and weather-resistant reflective remove-before-flight streamer stands out equally well in daylight or darkness under all weather conditions, so it can’t be missed during your pre-flight inspection.